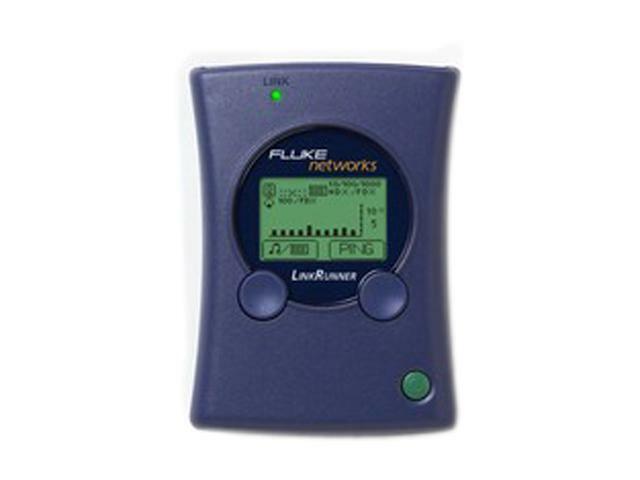 When looking for a simple, easy to use and easy to carry network tool I decided on the Link Runner by Fluke Networks. The device its self is about the size of a typically smart phone and about twice as thick. There are only three buttons on the device; a power button and a pair of soft keys. The top of the device has a pair of Ethernet ports that made to the typical RJ-45 connector. I found the device really easy to use. It was as simple as plugging in to both ports and look at the screen to see the pin mappings of patch cables. If you connect the Link Runner to a RJ-45 wall outlet the unit reports the length of the cable. Putting the included wire mapping plug in the remote port of the patch panel gives additional details about the wiring. When using the Fluke on a live network jack like “Link” light would light and some basics about the attached switch port would be revealed. This information included the speeds the switch was capable of, duplex and a differentiation between crossover and straight through cabling setups. Select “PING” on a DHCP enabled network and the device would get an IP and start pinging the default router and DNS server provided. A third host IP of your choice would also be pinged. 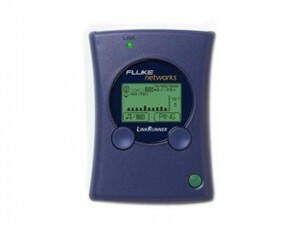 The IP obtained by the Fluke itself is displayed at the bottom of the screen. I have to say the Link Runner has helped me diagnose many network problems. For instance, if a port was assigned to the wrong VLAN you know instantly when an unexpected IP is assigned. I always test my patch cables with this device whether just making or testing existing. The Link Runner also touts its ability to understand Cisco CDP packets. I found this is useful but not entirely reliable. For instance, different switches yielded different results. Some would show the IP or hostname as expected. Most tests showed the port number, the most important thing in my mind. Still others showed nothing at all. In a few rare cases, random letters and numbers were displayed. I suspect the CDP parsing code on this device is a little lacking. Fluke offers support on most of their higher end testers that typically includes updates. This device, however, does not have an interface that can be used for updating the software. All in all the Link Runner is fairly decent. The price is a little steep. With corrections to the CDP issues I would be more inclined to buy another one (my unit was a little older so maybe its even is fixed on new units?) If you’re looking for a very portable cable, and IP connectivity testing unit the Link Runner is defiantly worth some consideration. This entry was posted in Networking, Reviews and tagged networking, trouble shoot. Bookmark the permalink.